The forthcoming VA Charity Compilation ‘Five Years Of Diynamic’, features reworks of the Diynamic catalogue from Hot Chip, Digitalism, Cassius, WhoMadeWho plus exclusive music from the label’s family. All benefits of the compilation will be donated to Kinderhospiz Sternenbrücke, an organization that accompanies terminally ill children in the last time of their lives. The Kinderhospiz is Hamburg-based and currently collecting for a room for music-therapy. The compilation is pread across two CDs, one to show Diynamic´s current sound and one to cross the rugged borders of house-music and to refresh Diynamic´s past releases. 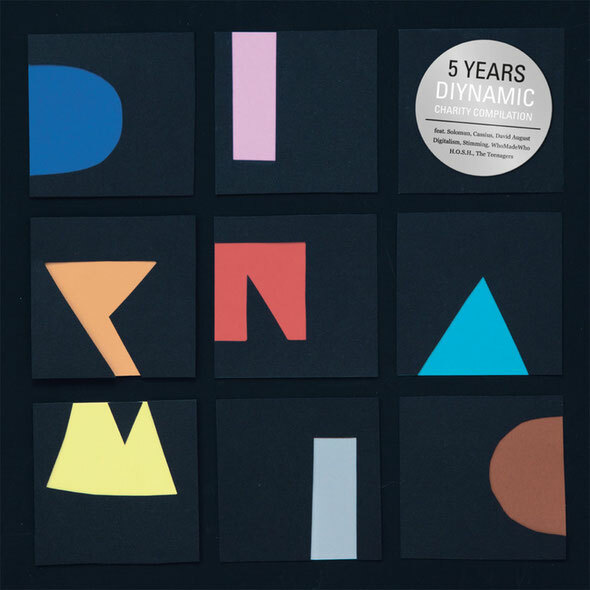 During these five years Diynamic has become a big family and each member plays a part in their fifth birthday compilation. Solomun, Stimming, David August, H.O.S.H., UNER, Ost & Kjex, DJ Phono, Adriatique, Thyladomid, Hunter/Game and Liem have all produced exclusive tracks for the first CD of the compilation that clearly define Diynamic´s current sound. On the second CD artists from fresh and diverse genres of music put their touch to the catalogue of Diynamic, making remixes, reworks or straight cover songs from the catalogue. Hot Chip, Digitalism, Cassius, WhoMadeWho and many more have taken part on this charity-project to increase the donation for Kinderhospiz Sternenbrücke charity.